This tour is an extended version of our Classic Machu Picchu Tour. 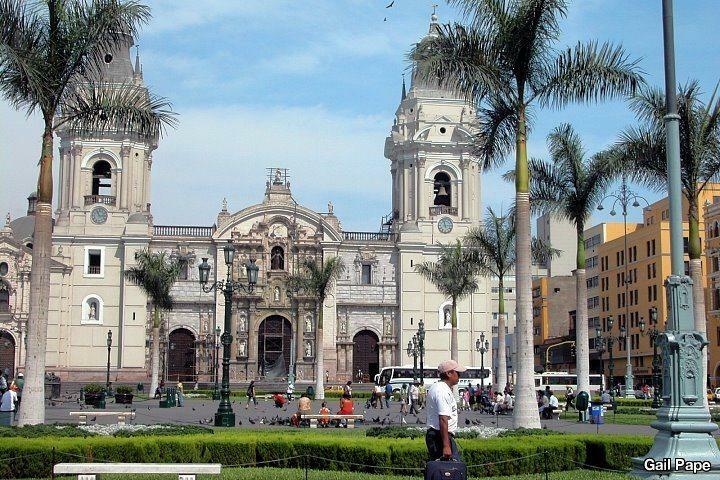 It includes Lima, Cusco, the Sacred Valley of the Incas, and an overnight stay in Machu Picchu. When you arrive in Cusco, you will be taken directly to the Sacred Valley so that you can acclimatize to the altitude. In the Sacred Valley, you will have private tours of the Indian artisan market in Pisac, Chinchero, Moray, Maras salt mines, and the fortress of Ollantaytambo. Lodging and Meals: This tour includes accommodations for 8 nights (3 nights in Lima, 2 nights in the Sacred Valley, 1 night in Machu Picchu, and 2 nights in Cusco), and 12 meals (8 breakfasts, 3 lunches, and 1 dinner). Day 3: Lima-Cusco-Sacred Valley-Awanakancha-Pisac Market. Day 8: Cusco-Lima-Larco Museum-Folkloric Dinner Show. Group Private: All transfers are private, and the city tours of Lima and Cusco, and the Machu Picchu guided tour are group tours for single passengers and 3 Star accommodations, and private for 4 Star, 5 Star, and Deluxe accommodations. The Sacred Valley of the Incas excursion is private, and the Larco Museum visit is private.